We all thought that Google will be restricting their Music Beta service to Android users but we have been proven wrong. Google has now made the service, which is still in beta, to iOS users as well. There is a catch, however. The catch is that unlike Android, iOS does not get a native application (not now anyway). 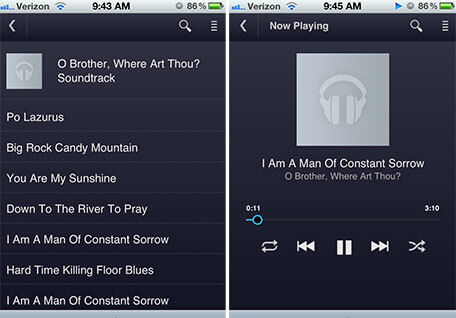 It’s available in the form of a web app, which can be accessed from the web browser on your iPhone, iPod touch or iPad. Aesthetically, the web app is not on par with the native Android app but as far as functionality is concerned you can do everything that you can on an Android device, including running it in the background while you use other apps. To those who don’t know what Music Beta by Google is, it is a service, currently available for free, that allows users to upload up to 20,000 tracks to Google’s servers, which can then be streamed anytime, anywhere from a compatible device. I guess it makes sense from a business point of view to offer the service to iOS users as well so that when it comes out of beta and becomes a paid service Google will have a lot more prospective customers on their hands. It remains to be seen, however, how many iOS users choose Music Beta by Google over the superior iTunes Match service , which unlike the former, does not require you to upload all of your music but only match it with their database and then start streaming it to your device. The latter, however, is yet to be made available to the public.